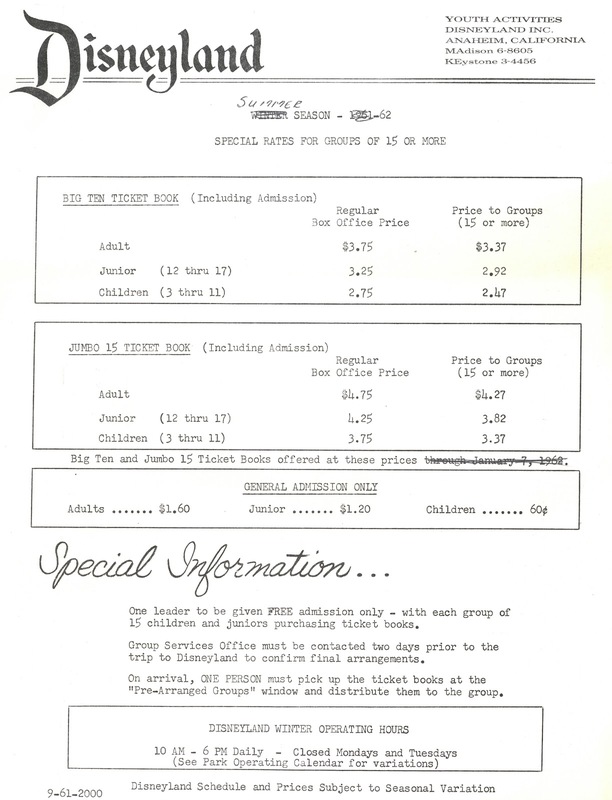 It's time for another exciting look at Disneyland's Youth Activities price sheets. 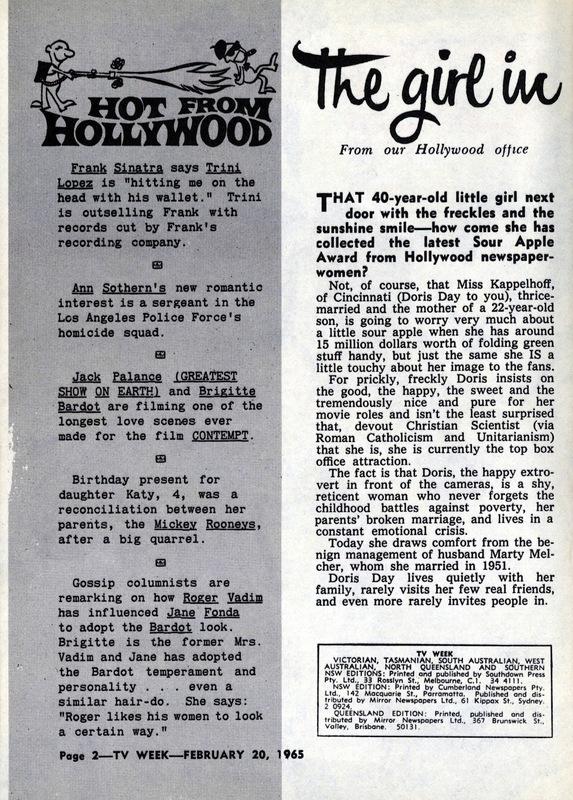 From the Fall of 1962, this sheet has all the Special Information you'll ever need. Oh, don't bother dialing those numbers, one is a medical supply exchange and the other one is disconnected. 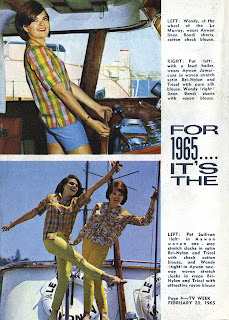 From my April 2009 post (link) here's the Summer and Winter 1962 rate sheets. 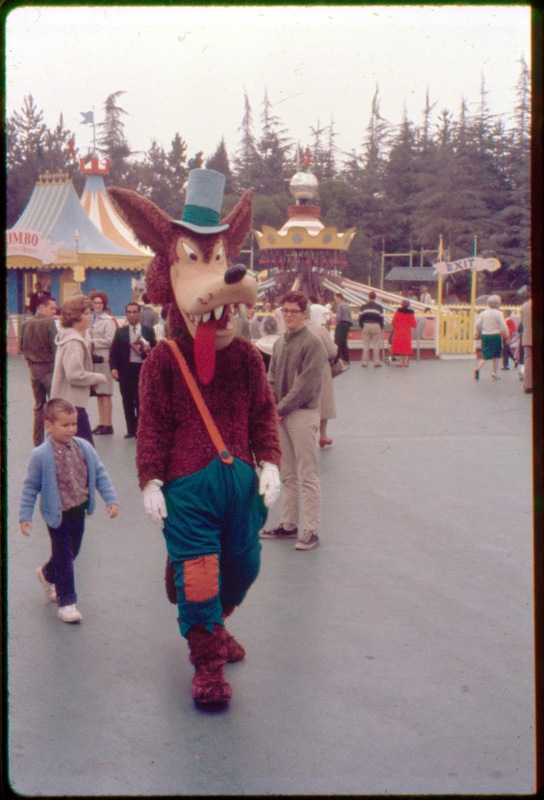 And since we are in 1962, let's take a second look at some neato December 1962 slides from Disneyland that I posted in a four-part series a couple of years ago. 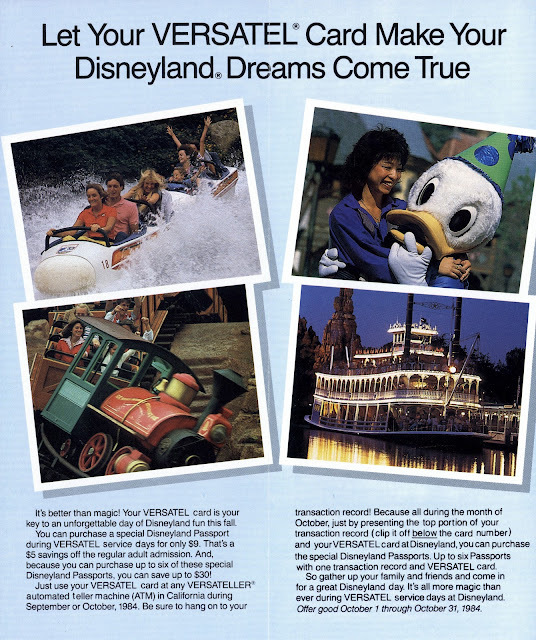 If you are a VERSATEL card holder (and if it were October 1984) Disneyland has a deal for you! Just use your VERSATEL card in any Bank of America VERSATELLER automated teller machine (ATM) and you can save up to $30 on Passports to Disneyland! From my previous VERSATEL Days post from October 2008, here's the ticket itself and the Guide Book. 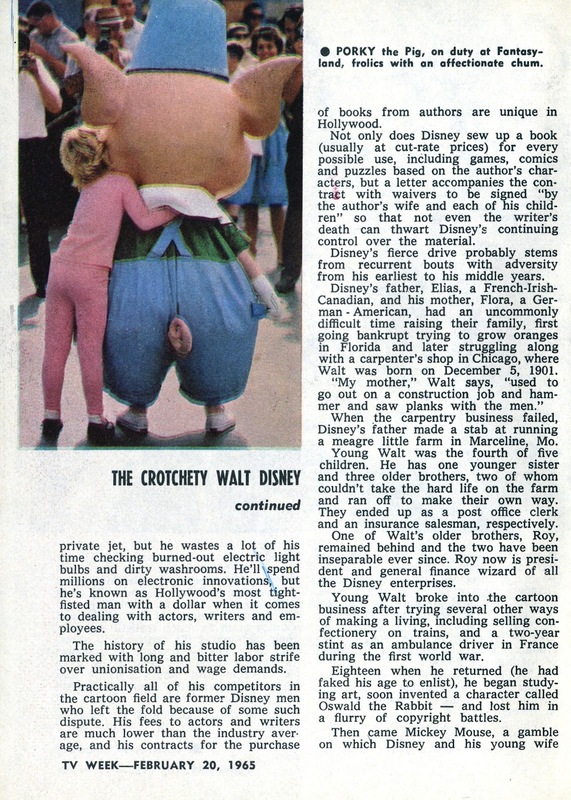 Also from 1984 here is the cover to the 3rd version of the 1984 "Your Souvenir Guide". I posted the entire 2nd version here (link). 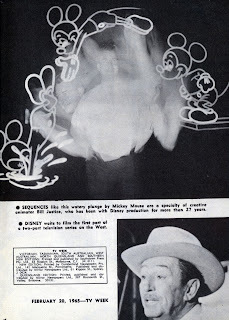 Here is the Map from the 3rd edition Disneyland Guide. In my never ending effort to clean and organize my blogger lair, you're going to see some "odds n ends" posts in the next few day. 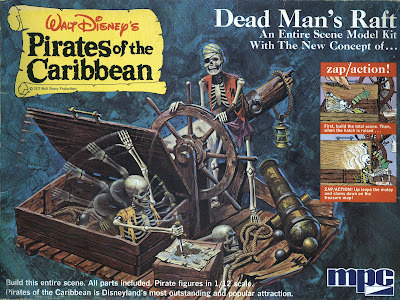 Today's we've got MPC Pirates of the Caribbean "Dead Man's Raft" Model, well, its just the box, I don't have that way cool "zap/action" model. but I want one! I like how this doesn't appear to be an actual scene from the ride but its does fit in perfectly. Some P.O.C. history on the side panel and detail on how the "zap/action!" works. 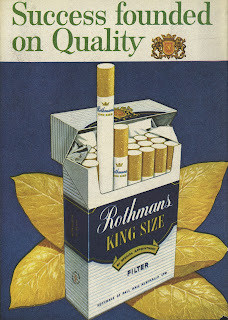 Made and Litho in the U.S.A., sweet! Check out all the other model kits, I want them all! 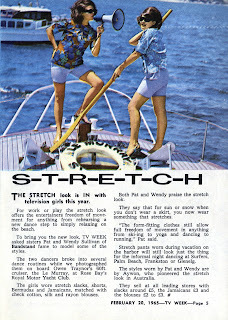 Wow, has anyone ever seen a "Jolly Roger Belt Badge"? Belt Badges are "in" don't you know? An MPC product of "Fundalmentions" huh? A division of General Mills Fun Group. The new concept of "zap/action!" - I wonder if Darrin over at McMahon and Tate came up with that slogan? 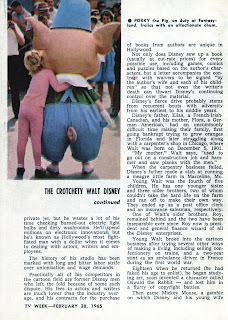 It's time for another Family Fun Night at Disneyland. 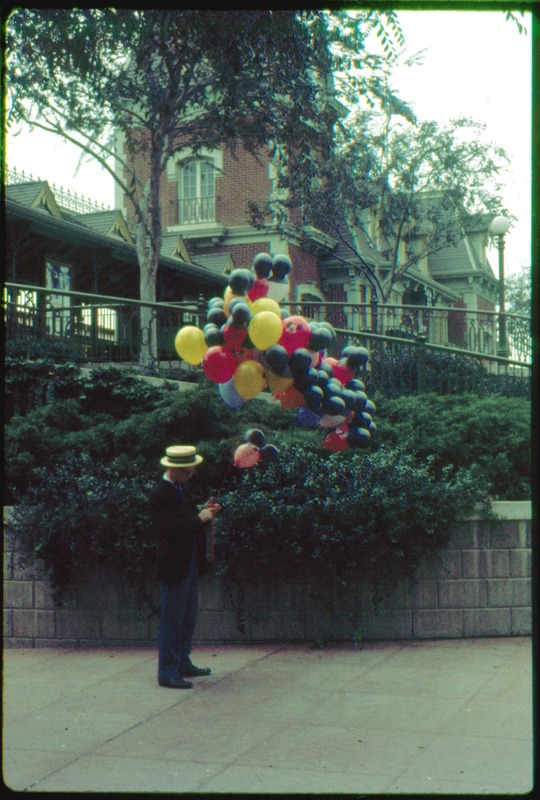 From Friday May 19, 1967 the Southern California Gas Company had its very own private party at Disneyland from 8:00 P.M. to 1:00 A.M. The Southern California Gas Company is still around of course, but they are now a "Sempra Energy Utility" and they're logo (link) isn't near as cool as it was in 1967. 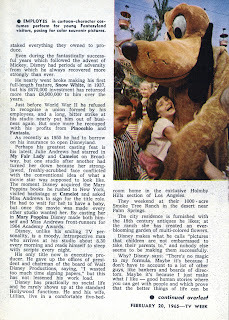 December 3, 1976 - Greater Los Angeles Sunday School Assn. 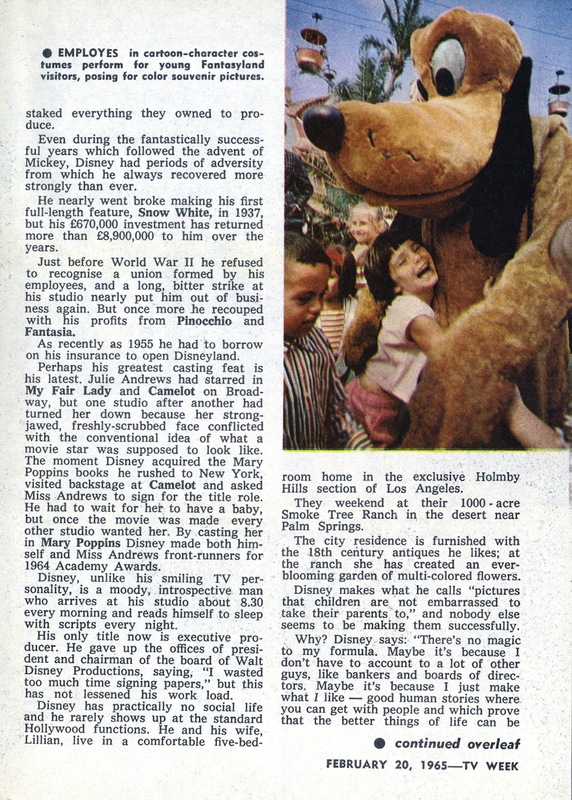 March 29, 1980 - A Fun "Party" not a Fun "Night"
Disneyland Welte Orchestration - Plays again! 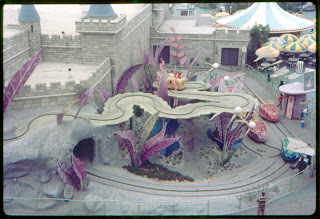 On a recent trip to Disneyland I wanted to check out the remodel of the Candy Palace as shown on Daveland's awesome trip report from May 8th (link). 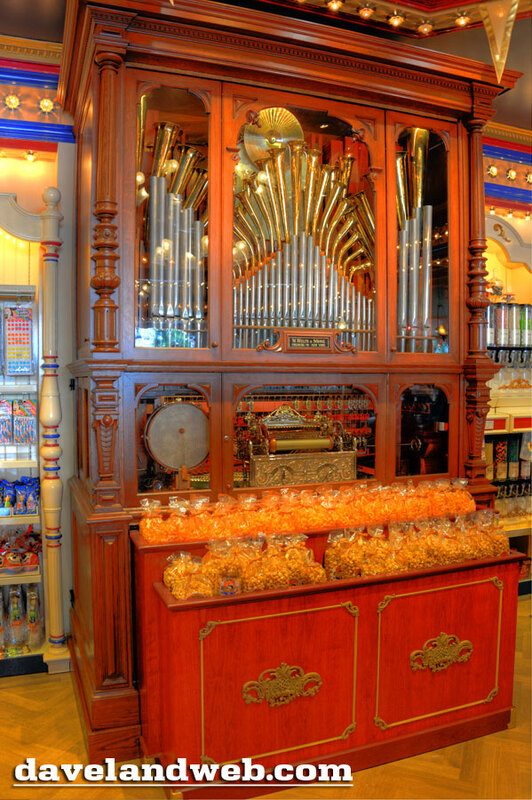 In Dave's report he laments that the "beautiful vintage Welte Band Organ is now a popcorn stand" and sure enough as seen in Dave photo, they put Popcorn in front of this wonderful machine. The computer controls are gone, in fact, I couldn't even find anywhere to put a coin! I was so stunned I just watched and listed for about 5 minutes until I realized I should capture this on video - it stopped 30 seconds later. 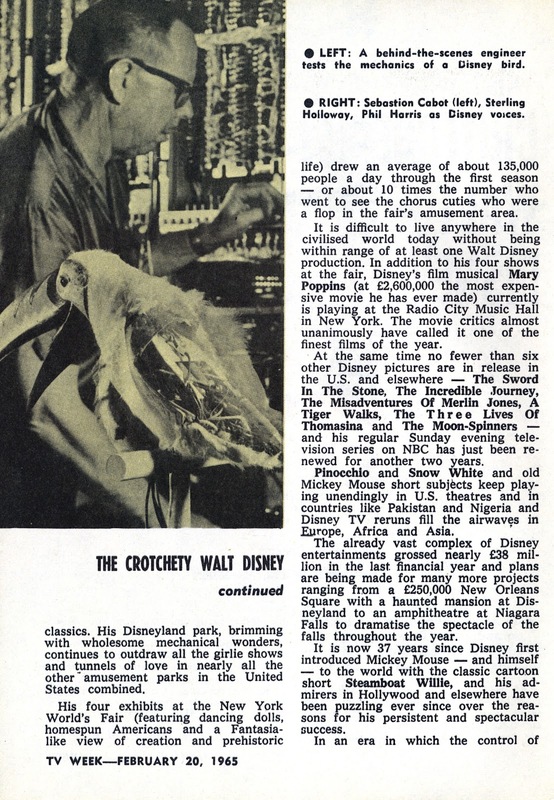 I checked back several times and it was never playing again, but here's the proof, they actually fixed this old Machine that Walt Disney purchased in 1953 - I don't like to play "What would Walt think?" but I bet he would be pleased with this - I sure am. As for the Candy Palace remodel - decide for yourself. 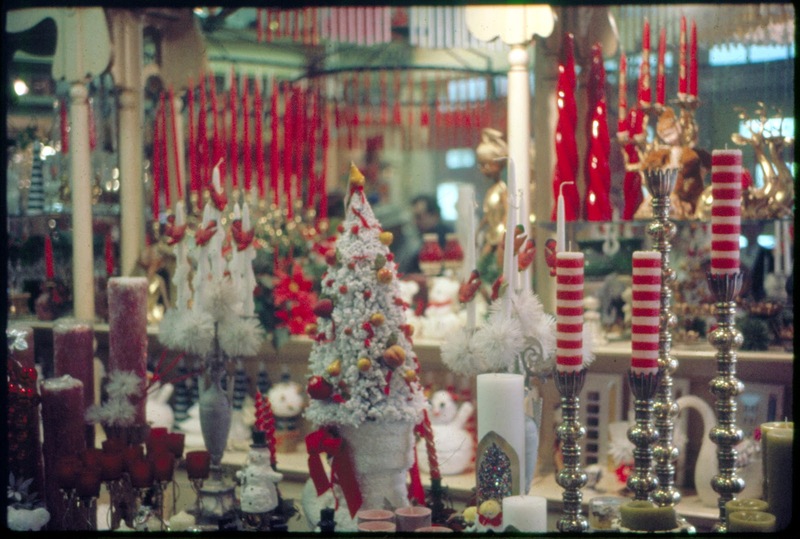 If you had never seen the old Candy Palace you might even think the remodel is from 1955, I will admit they did one heck of a job making it blend in and look vintage. 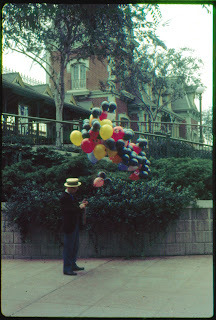 Same Candy Man in his updated Palace. As Dave mentioned, the loss of the seating area next to the Coke Corner is sad, there was plenty of candy in there already! Welcome to Magazine Monday. Today were going back to February 20, 1965 and half way around the world for Sydney Australia's TV Week. 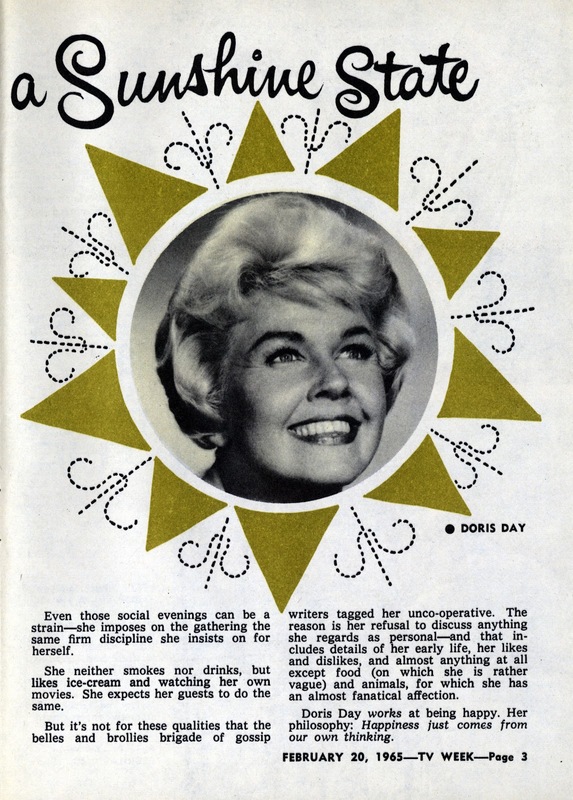 Looks like the folks down under we very excited about our very own Doris Day. 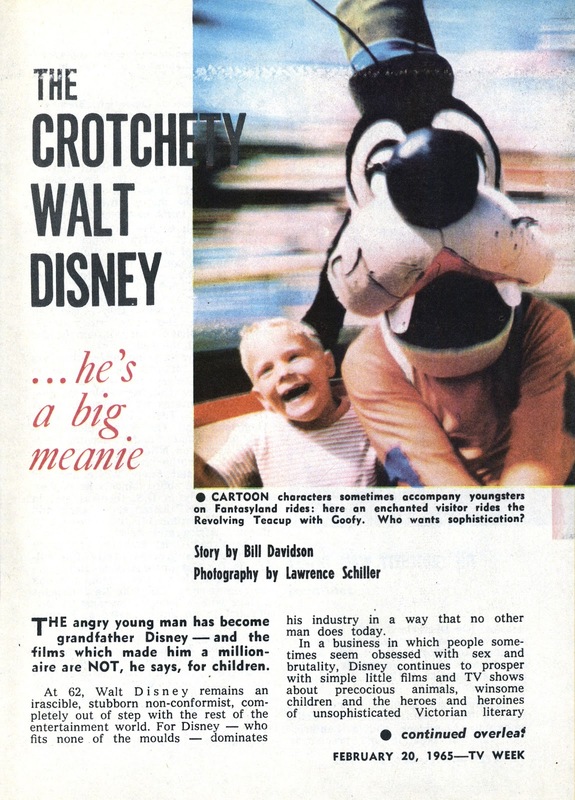 This "Crotchety Walt Disney" article appears to be a retread of the November 4, 1964 edition of the Saturday Evening Post, which I posted back in January 2009 (link). Although the Post left off the "Crotchety" part of the title! 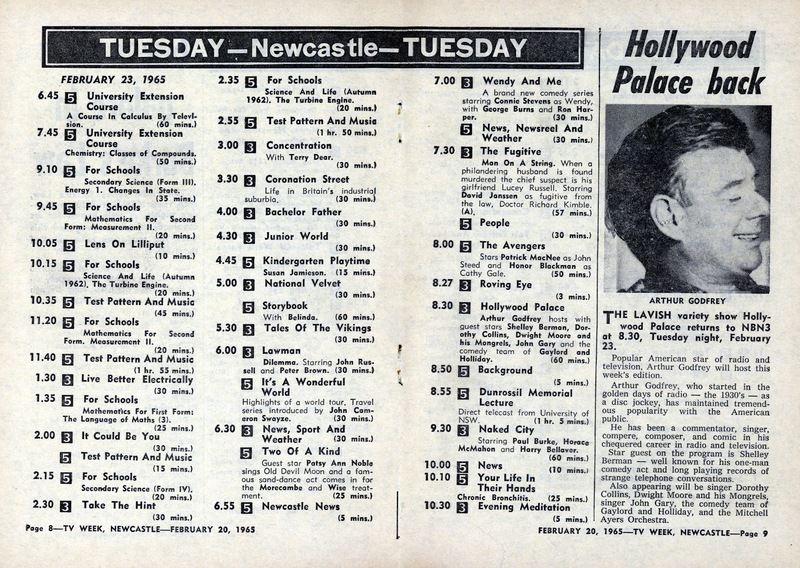 Wow, I hope you like channel 3 and 5, because those are you only two choices, yes that's an entire days listings on two pages! 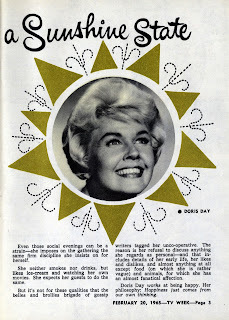 Milk does a body good, even in the southern hemisphere. Gigs to a body bad, even down under! 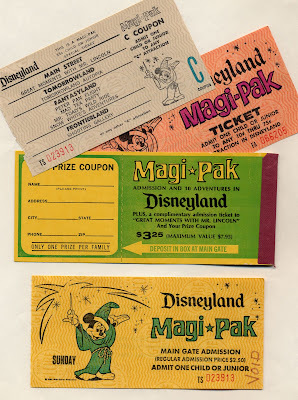 It's been a while since we've looked at some Disneyland Magi-Pak tickets, in fact if you missed my first two posts of Magic-Pak tickets just scroll down because they are included in this post. This partial Magi-Pak book is from October 1966 and sports my favorite "Castle and Stars" safety paper rather than the usual Globe safety paper. 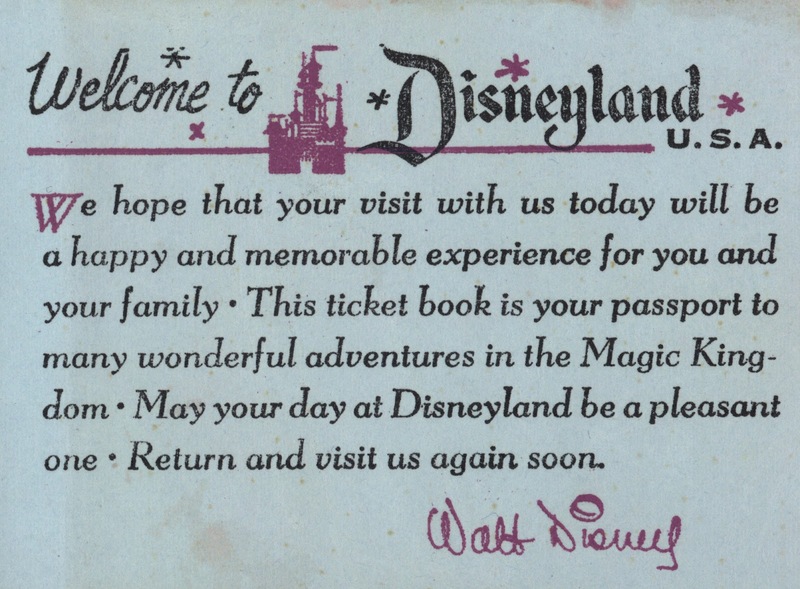 Sadly this October 1966 ticket book would be the last to have Walt Disney's stylized autograph on the welcome page, to be replaced with the printed words "Walt Disney Productions" in 1967. There were only these two tickets left in the book. 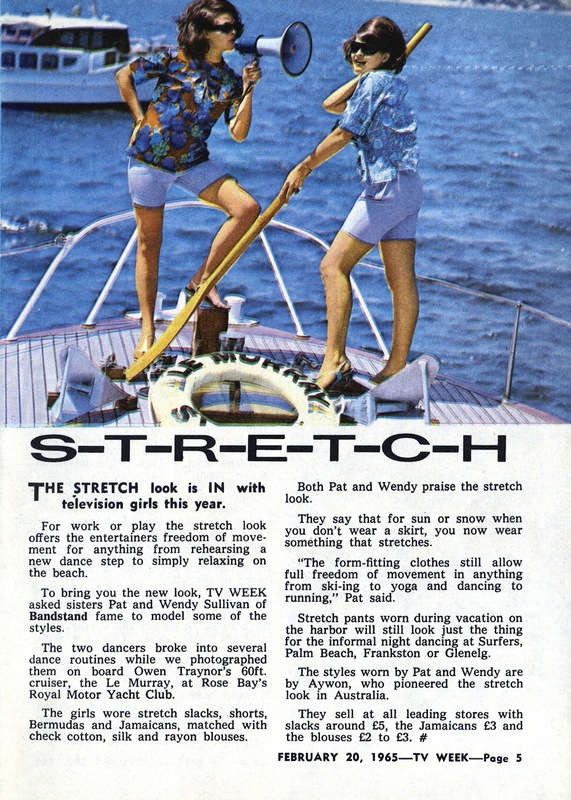 I "snapped" them away from the book that's held them for 45 years and it felt great! 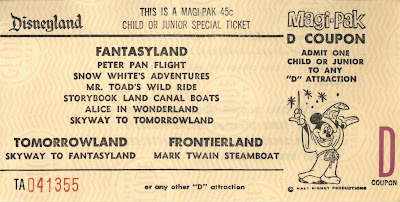 My October 1966 choice on this "D" ticket is so easy, the Mine Train of course! I'm ready for the climb up the stairs to see the Swiss family after handing over this awesome "B" ticket. What do you suppose the prize was? 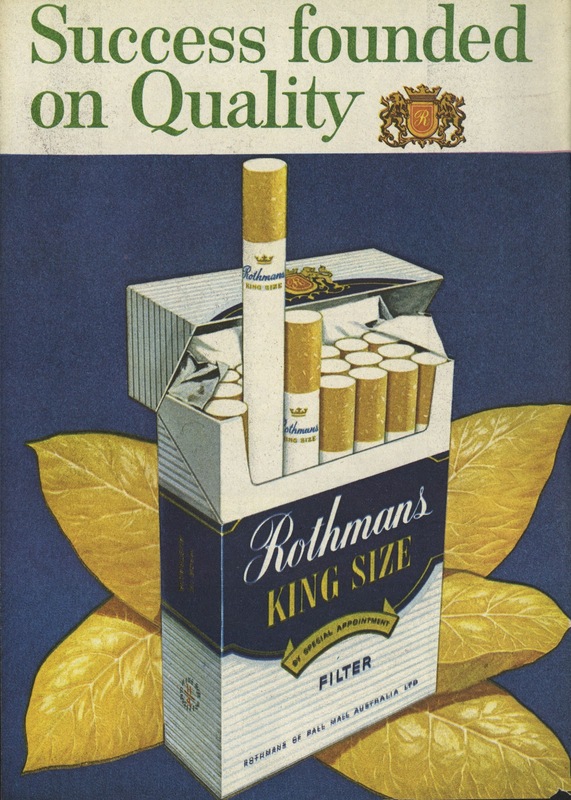 $3.25 for a maximum $8.35 value, wow that's a deal! There’s not a lot of information on this subject, so I’ll share what we know. 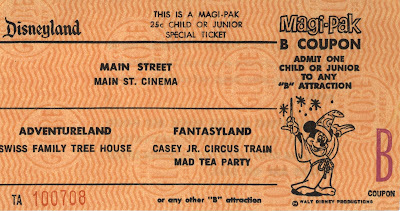 These “Magi-Pak” tickets were sold in the 1960’s. 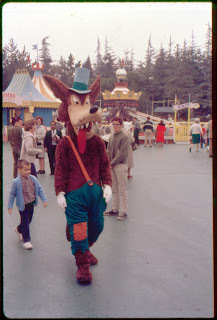 Probably 1963 to 1969, but that’s just a guess. The promotion appears to include; a “Magi-Badge” which I have never seen, DOES ANYONE HAVE ONE? Also included was a “prize coupon” and of course a deal on attraction tickets. 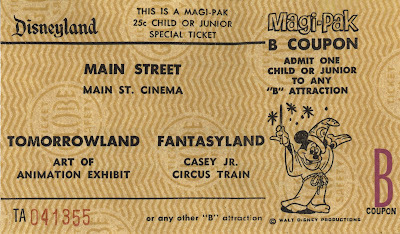 This loose Main Gate Admission ticket is undated, but certainly from the mid 1960’s. 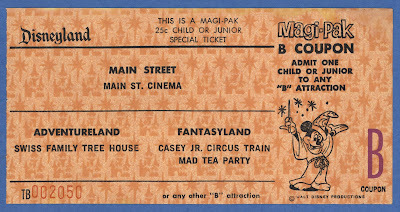 Here’s the front of a Magi-Pak ticket book without the Magi-badge; Admission ticket missing. 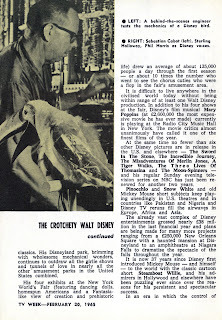 Not dated, but includes Walt’s signature and other clues that place it around 1964/65. Fourteen of these Magi-Pak tickets are included in the ticket book, all “E” tickets if you use them wisely. 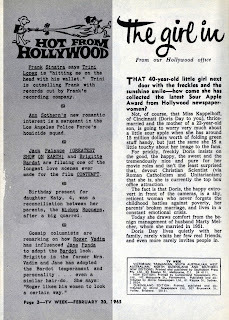 A fifteenth ticket was included that is very special and does date this book to 1964-65. 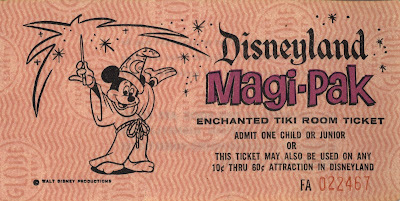 It’s a special ticket that can be used for the Enchanted Tiki Room. 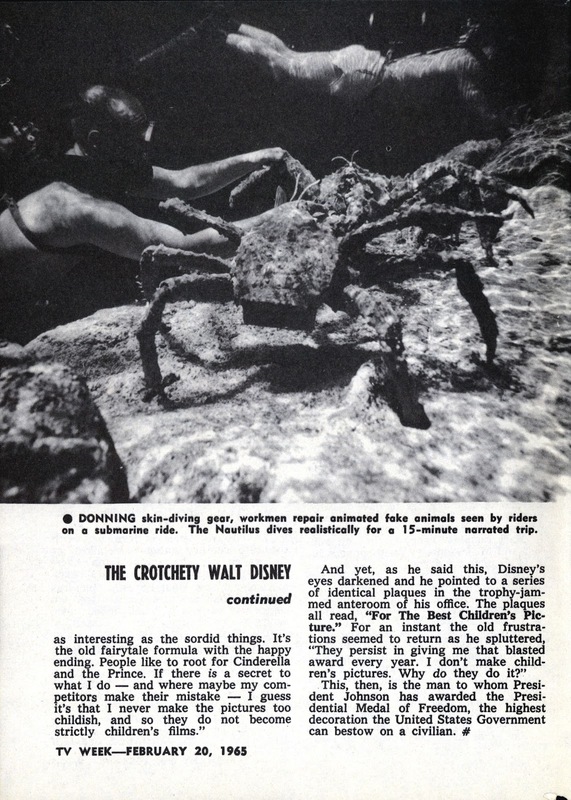 In the Tiki rooms early days, it was owned by Walt personally so the normal Disneyland tickets were not accepted. 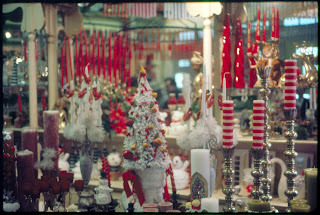 See prior Tiki Room ticket post here (link). Moving on to October 1966, this is the first instance of Walt’s signature being replaced with the “Walt Disney Productions” Stamp. 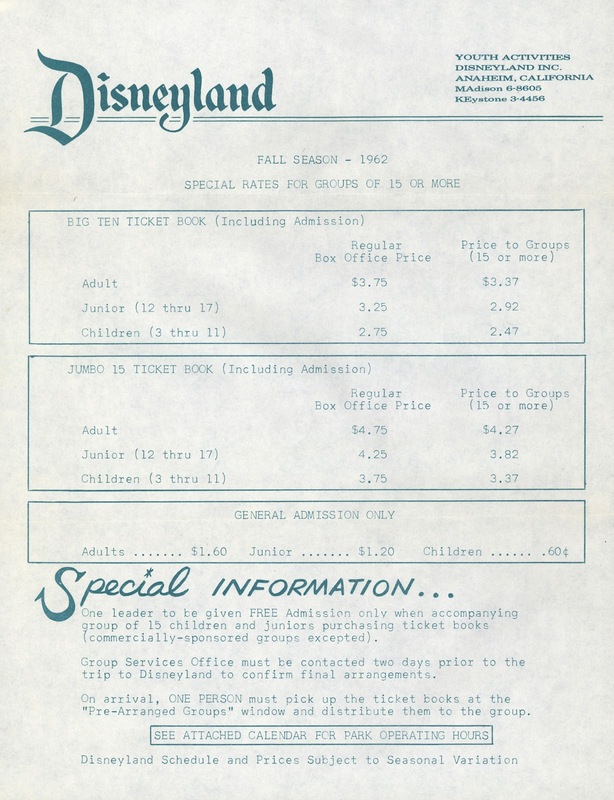 I suspect this ticket book is actually from 1967, and the back (where you’ll see the date) was left over from October 1966. 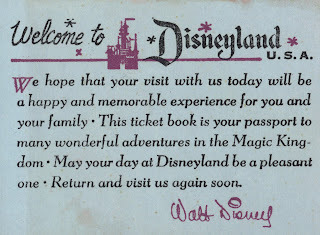 I have other non Magi-Pak ticket books from October 1966 that still have Walt’s signature. 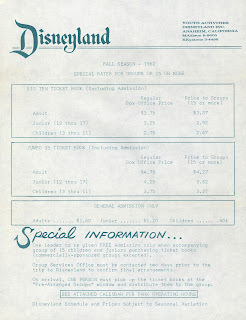 The ticket is very similar to the older one shown early in this post, just a slight price increase to 75¢. 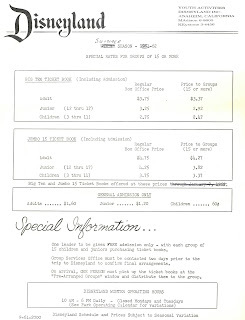 Here is the back of the ticket book. 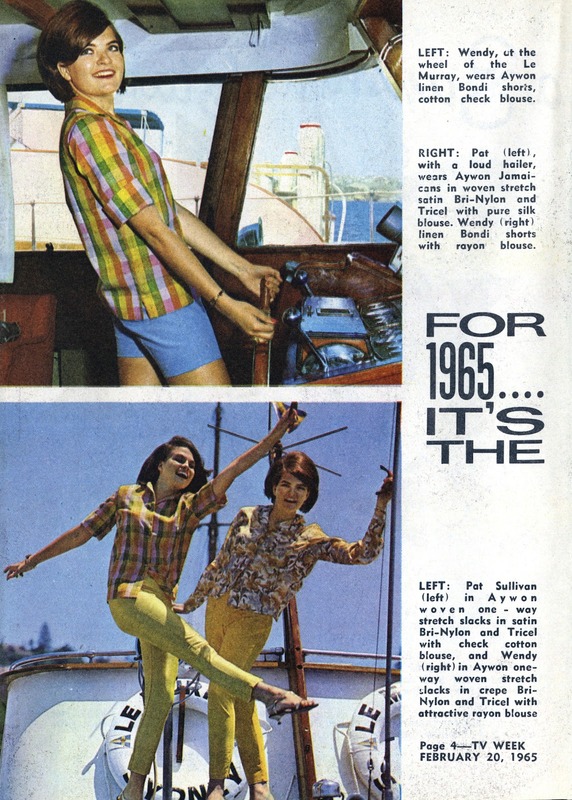 Notice the “6610” date code for October 1966. Looks like you did not get your prize at the park; I guess they mailed it to you. What was the prize????? 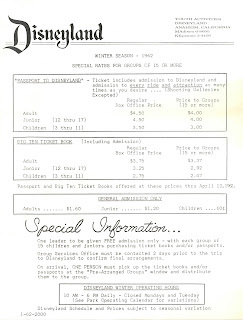 This deal also included a "Great Moments with Mr. Lincoln ticket", what a deal! 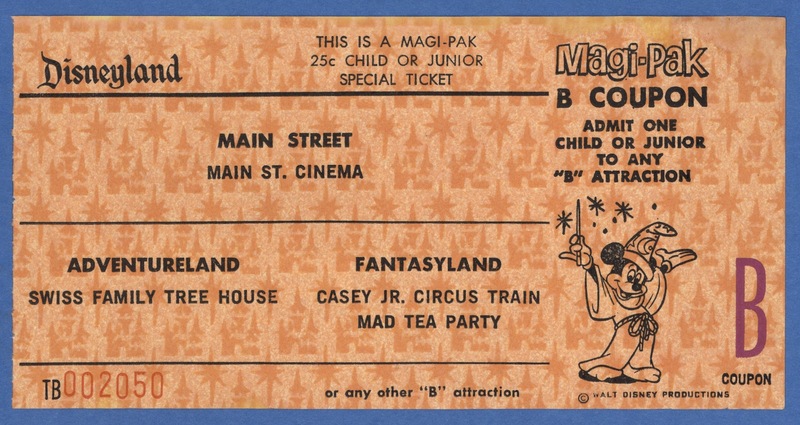 Let’s take another look at some Magi-Pak tickets. 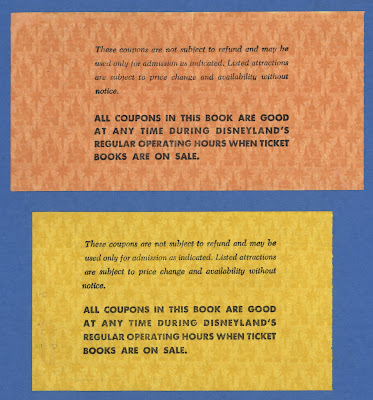 The tickets in today’s post are all lettered tickets; yesterday’s post had tickets that were good for any attraction. 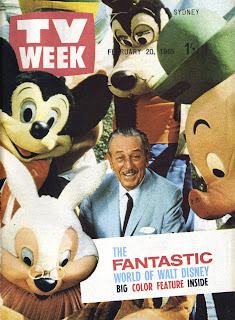 Just as with the Magic Kingdom Club. 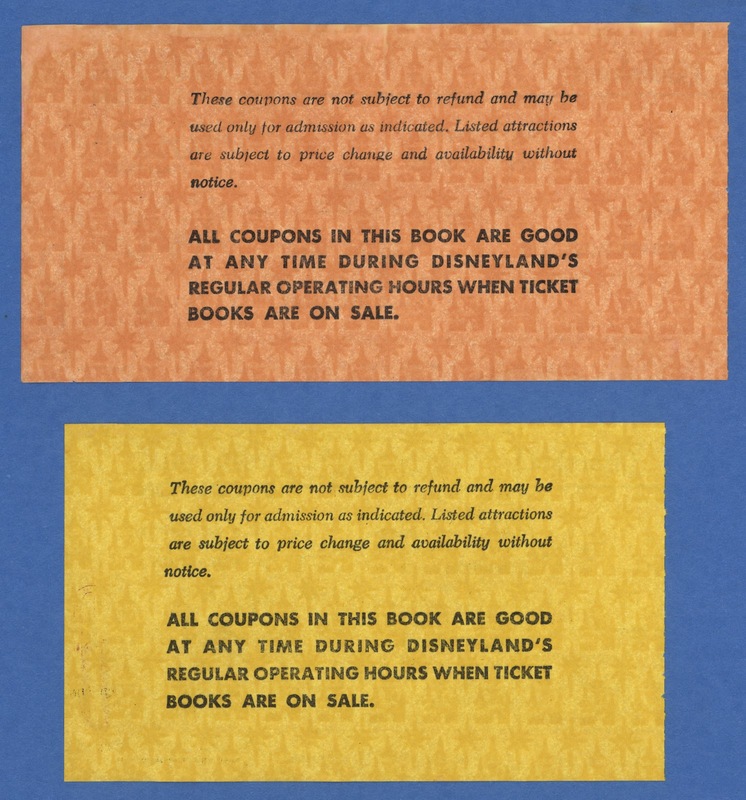 Disneyland generally issued the “good on any attraction” tickets in the winter months and the lettered tickets in the summer months. 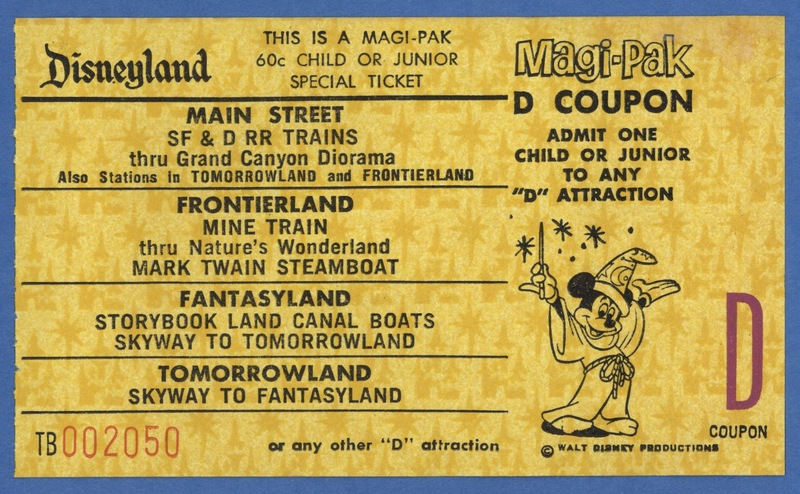 Up first is a partial Magi-Pak lettered ticket book, oh boy do I wish I had a complete one of these! 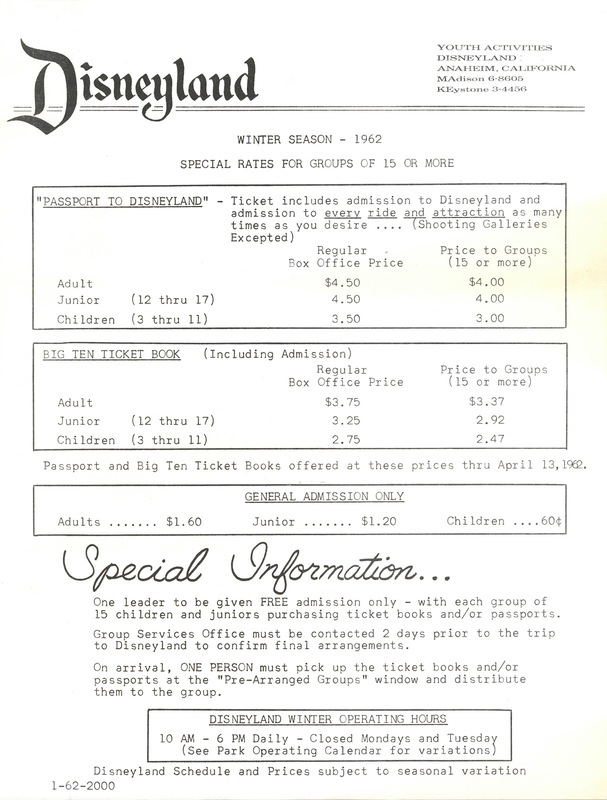 Here’s the “B” & “D” tickets from the above book. 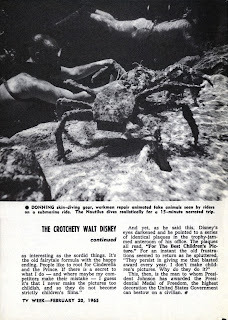 It’s difficult to date based on the attractions, but I would place them around 1964. Slightly newer “A” & “B” tickets, 1968??? 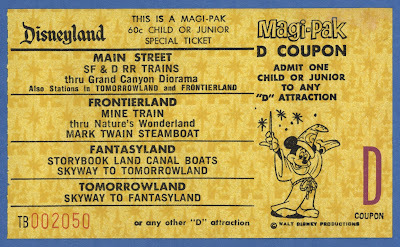 This “Star & Castle Paper” “A” Ticket is from late 1966 or early 1967. I sure do dig that paper! These last two scans are from my copy of the grand Disneyland Ticket Binder. There is no other information than what you see here. 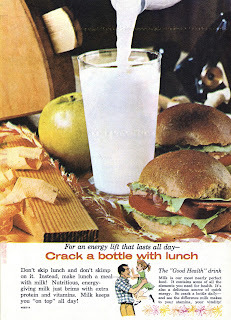 Looks like the back to a mid 1960’s Magi-Pak book with an “Early Bird Special” coupon! Lastly a nice mix of Magi-Pak tickets and back of the book.